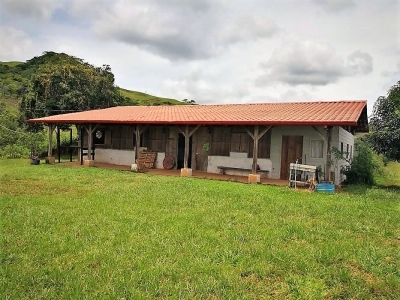 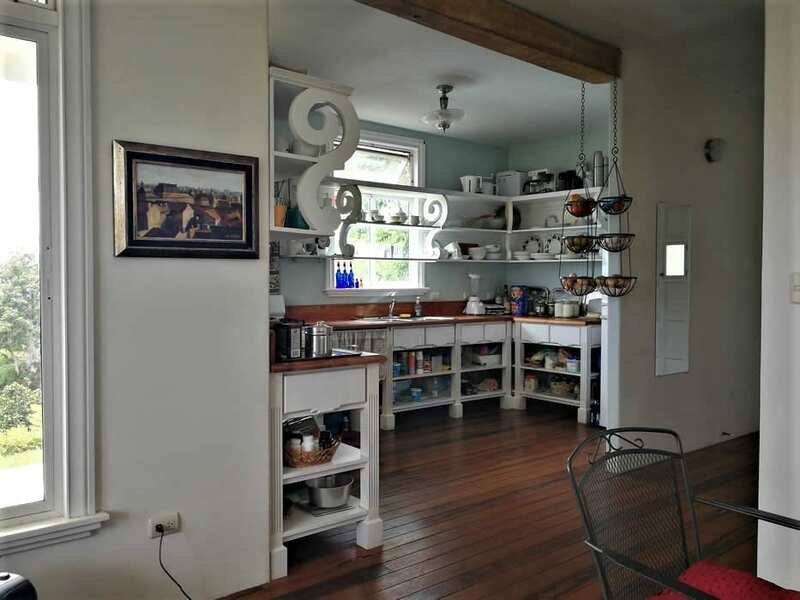 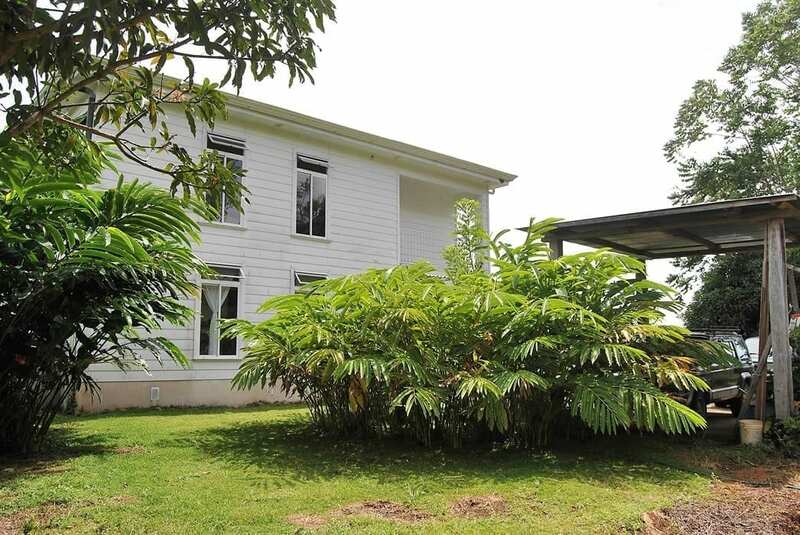 14 ACRES – 3 Bedroom Home On Acreage w/Tree Plantation, Fruit Trees, Creeks, Spring, Views! 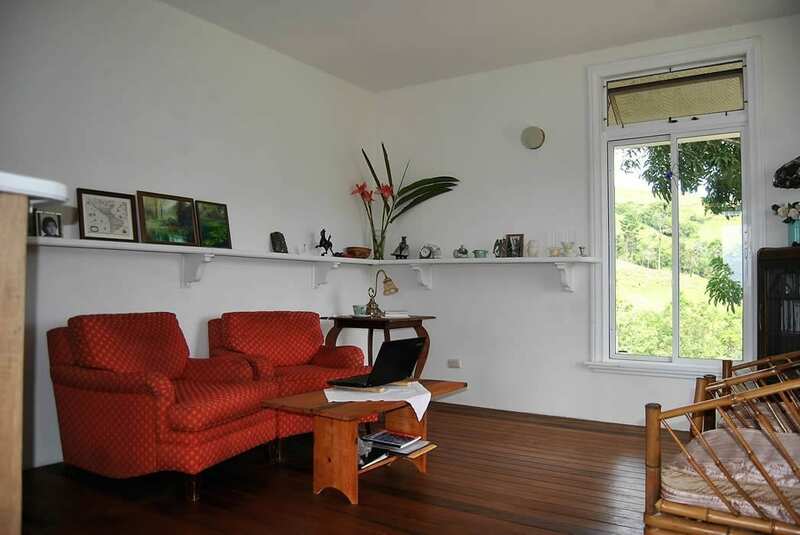 Ideal climate year round. 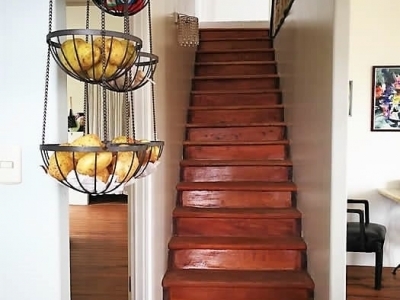 Buffer from the world! 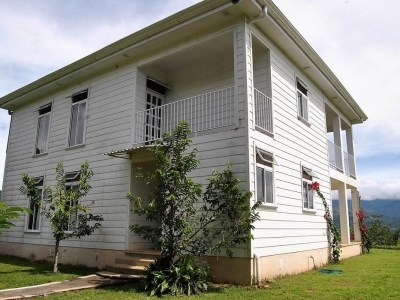 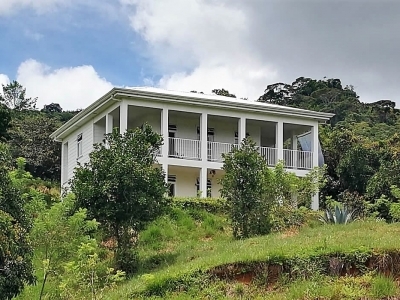 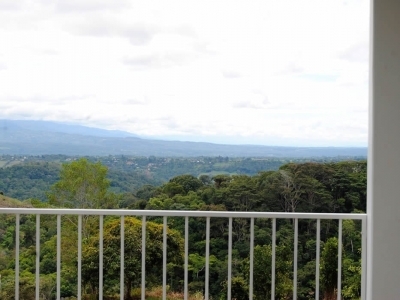 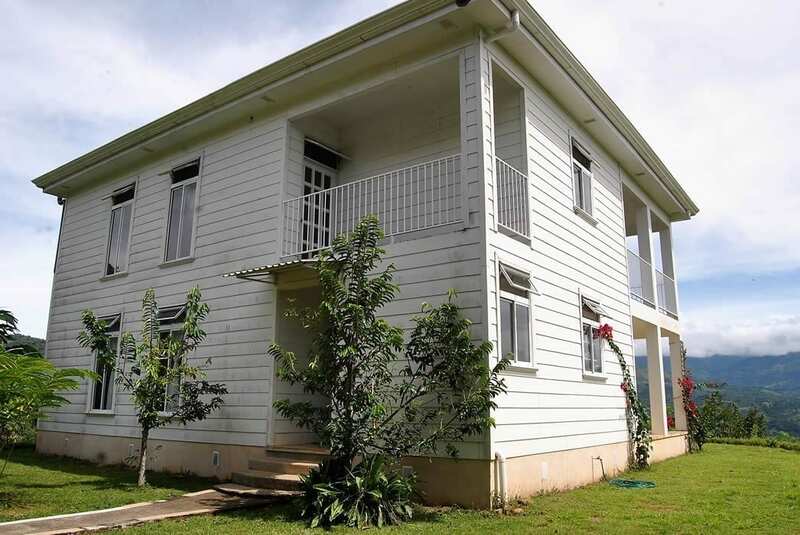 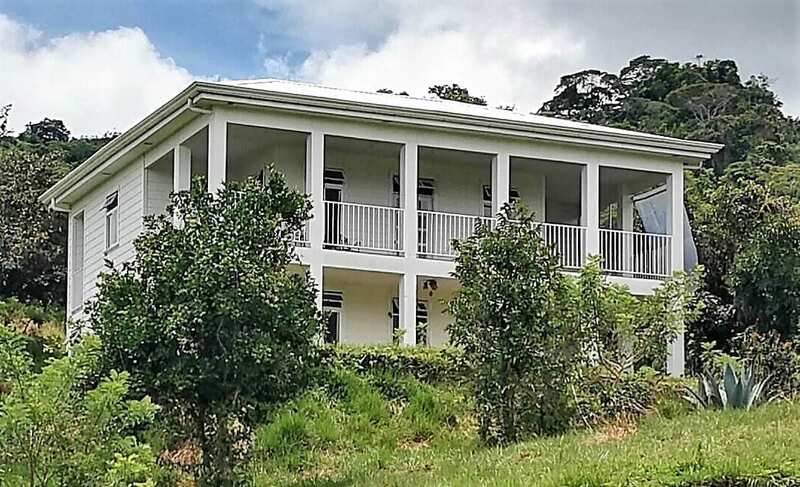 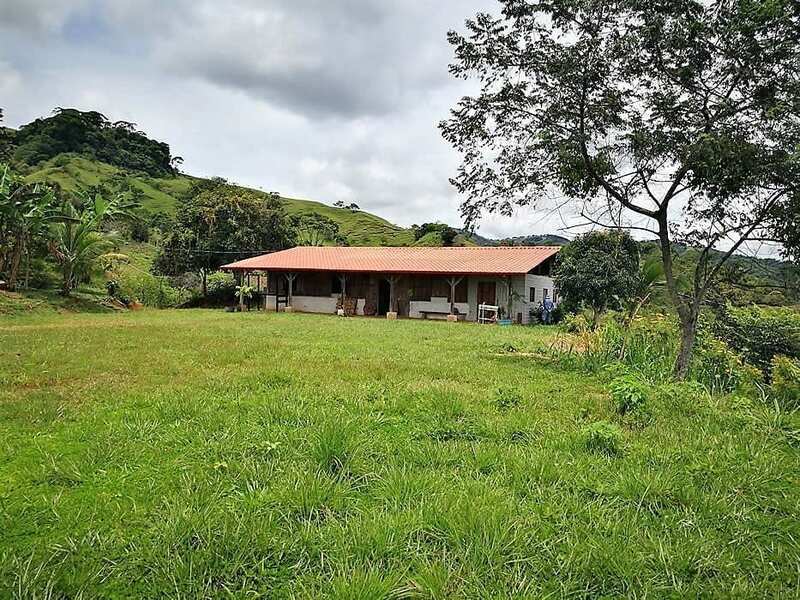 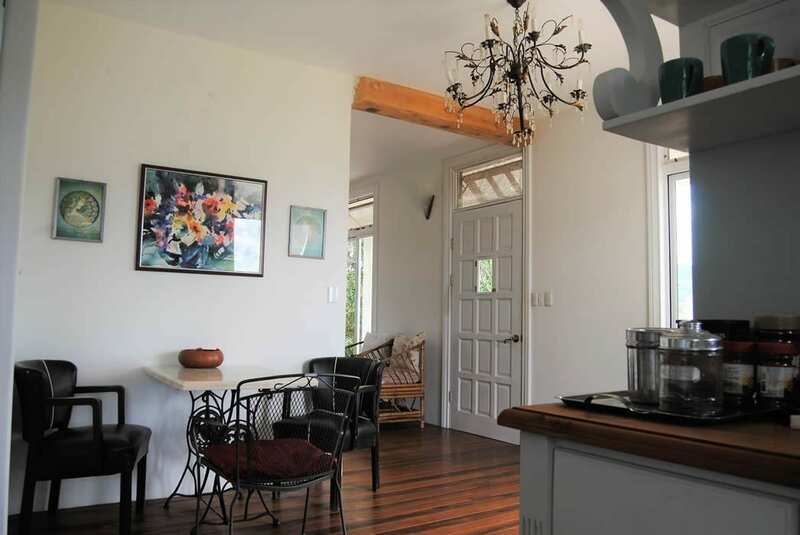 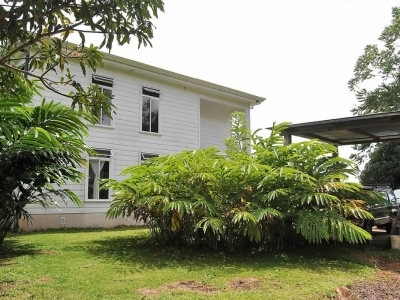 14 ACRES – 3 Bedroom Home On Acreage With Tree Plantation, Fruit Trees, Creeks, Spring, Incredible Views!!! 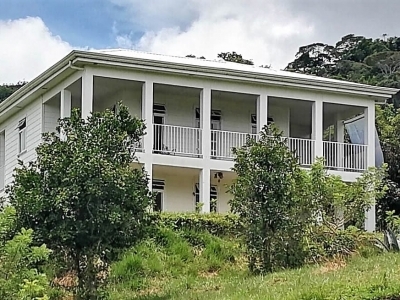 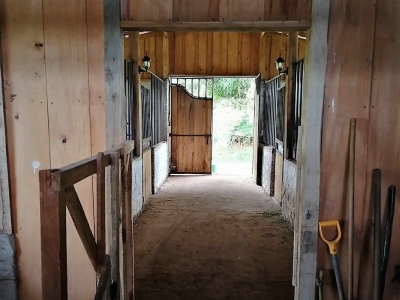 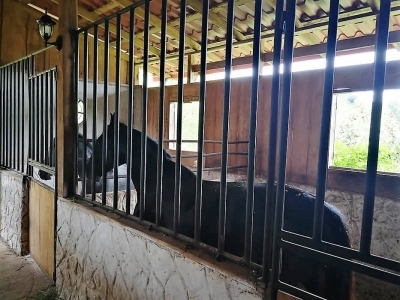 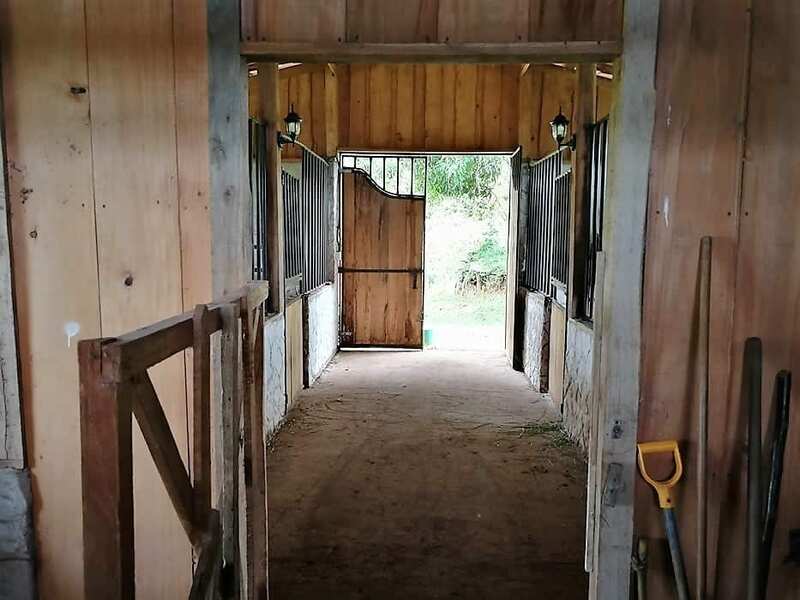 For sale is this impressive 15.6 acres (6.3 ha) country estate with a large house, horse stable, lumber plantation, fruit trees, and creeks. 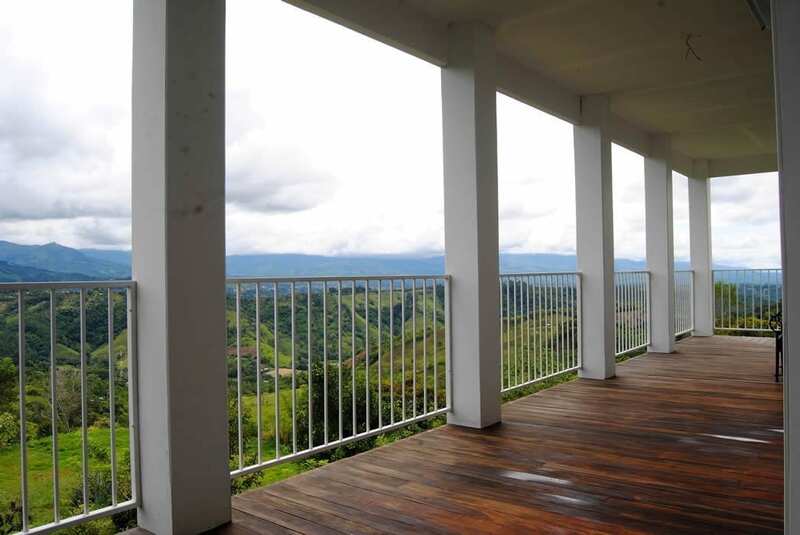 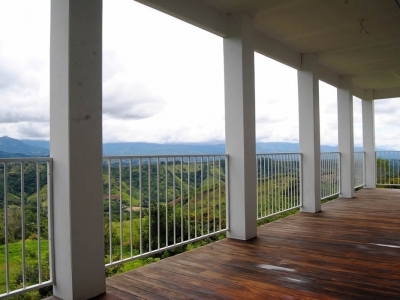 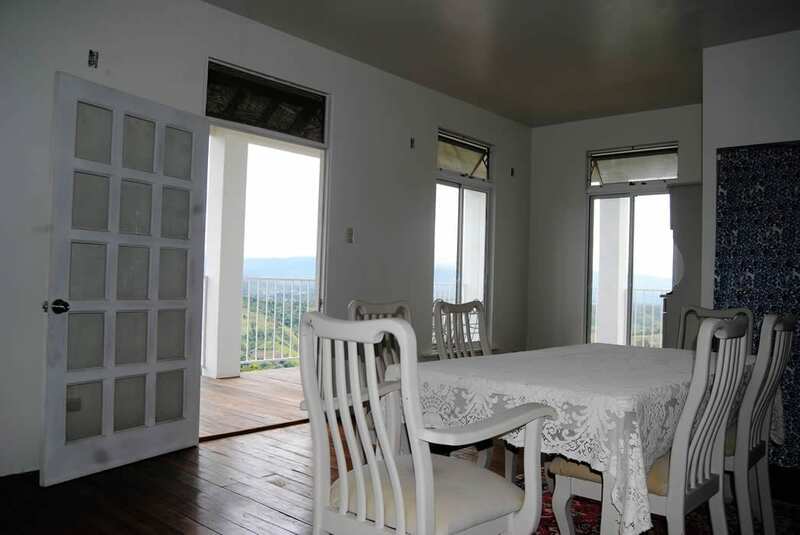 The panoramic views of the Talamanca mountain range and specifically Mt. 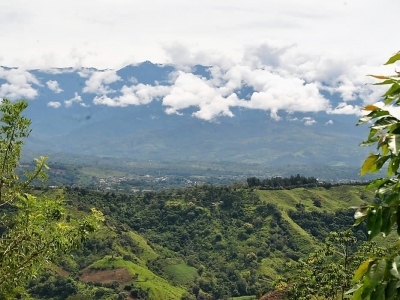 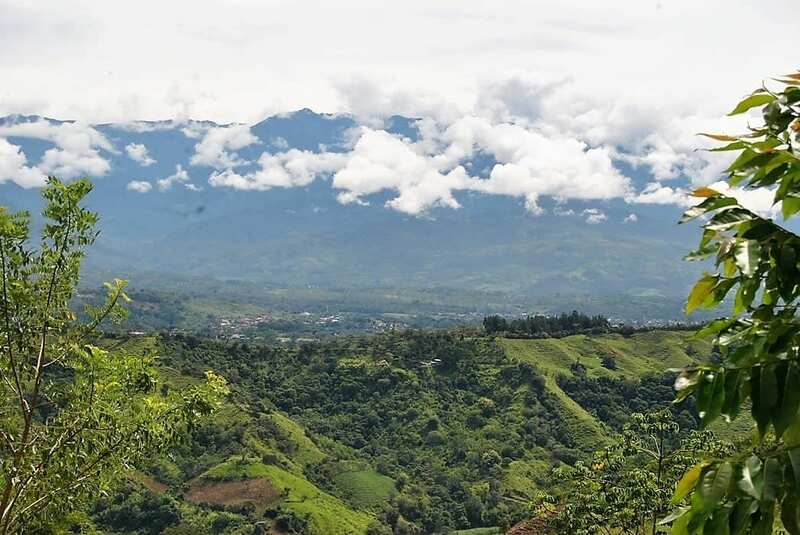 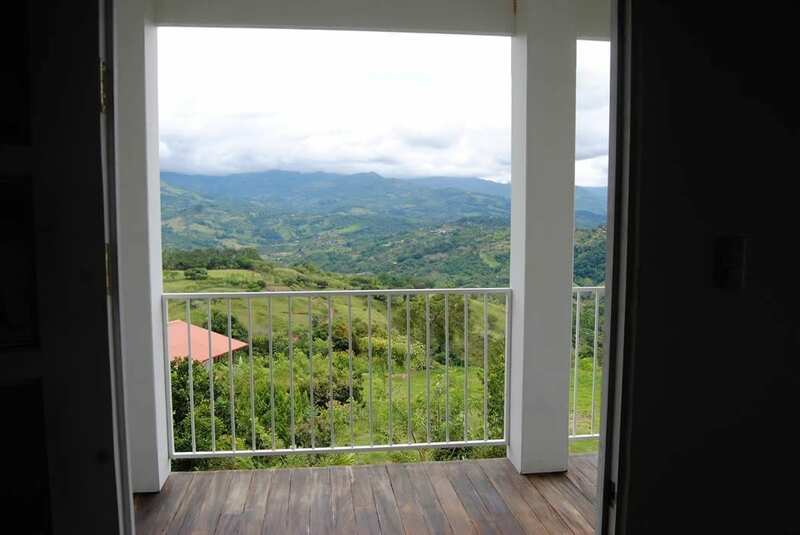 Chirripo (the largest mountain in Costa Rica) are spectacular as is the valley views over San Isidro. 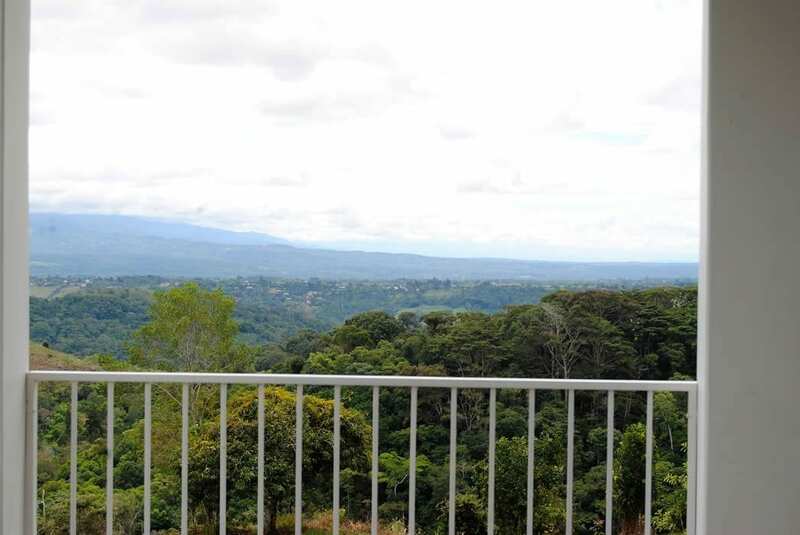 The location is renowned for its breathtaking scenery, biodiversity, environmental awareness, its proximity to national parks, clean cool air, abundance of water and locally produced food, as well as a strong economy based on agriculture, livestock, services and tourism. 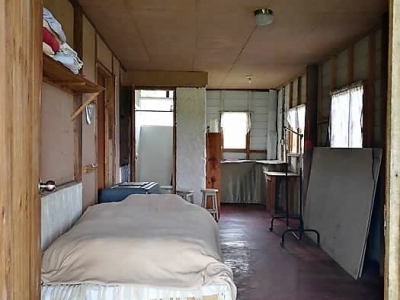 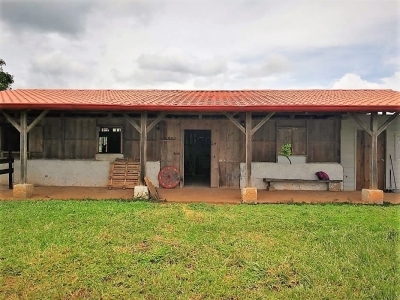 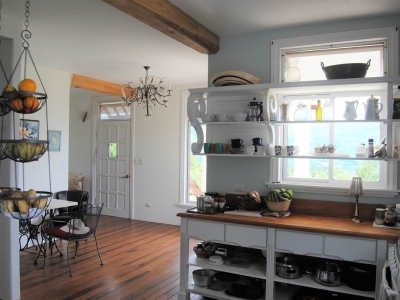 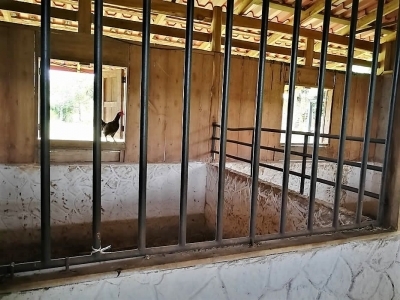 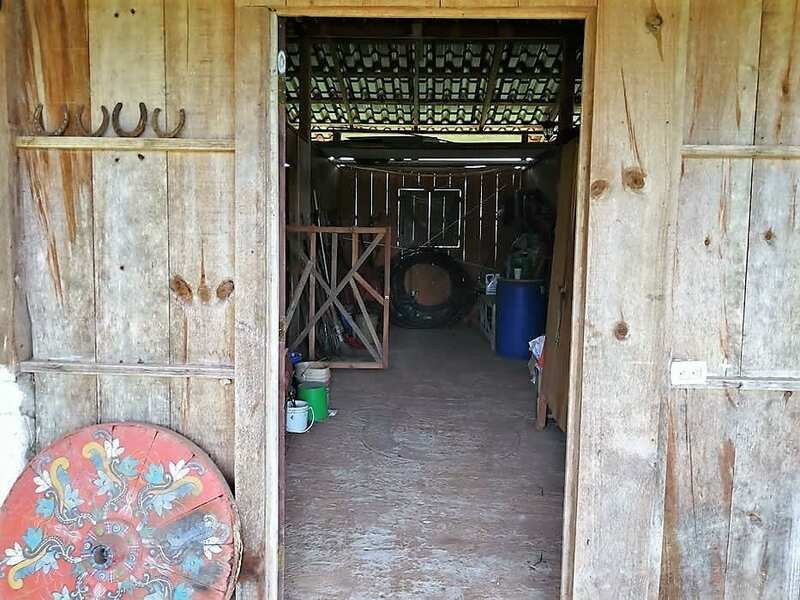 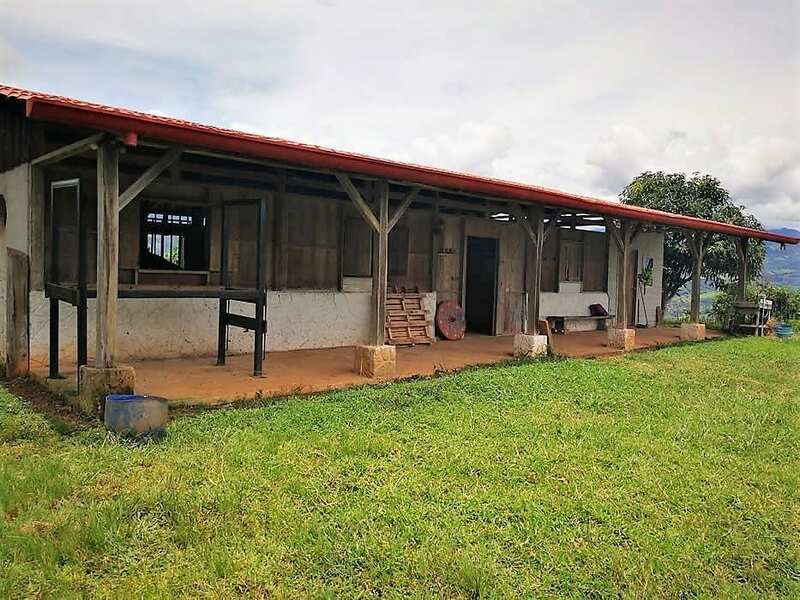 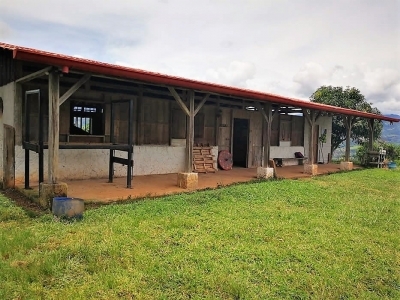 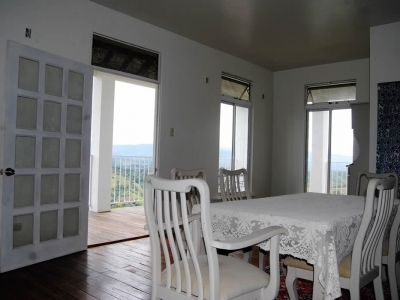 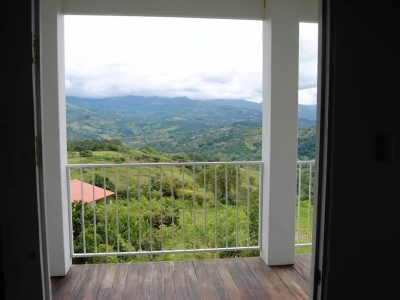 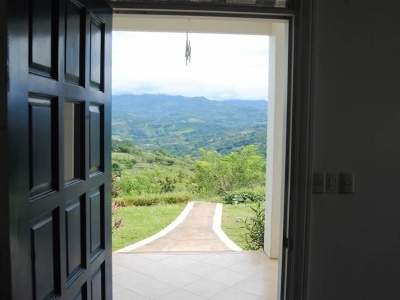 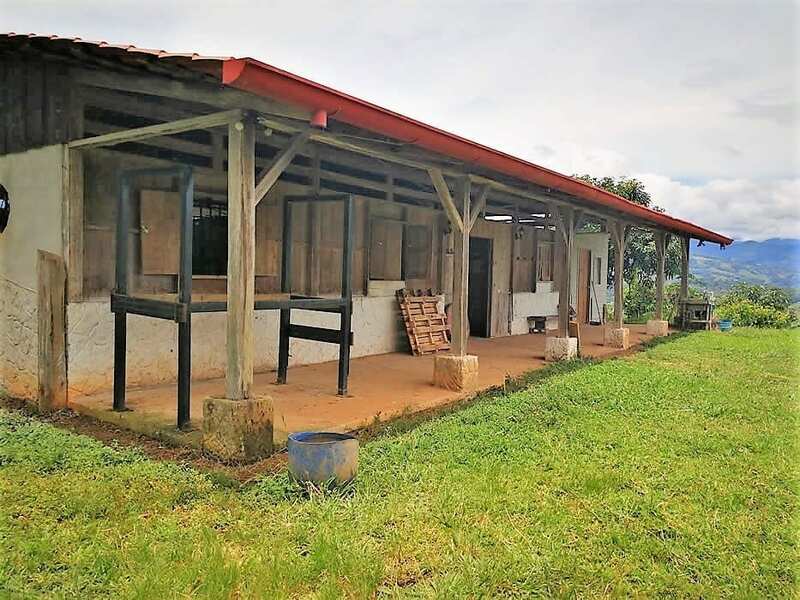 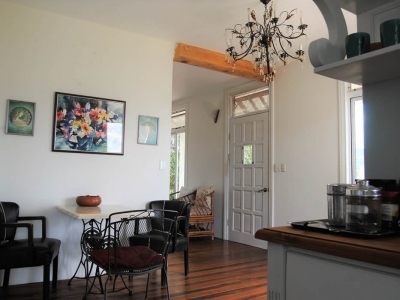 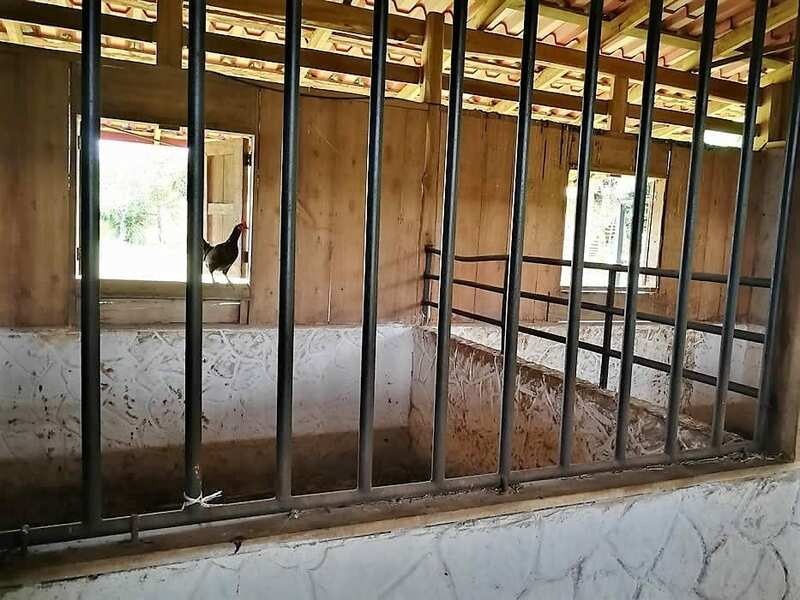 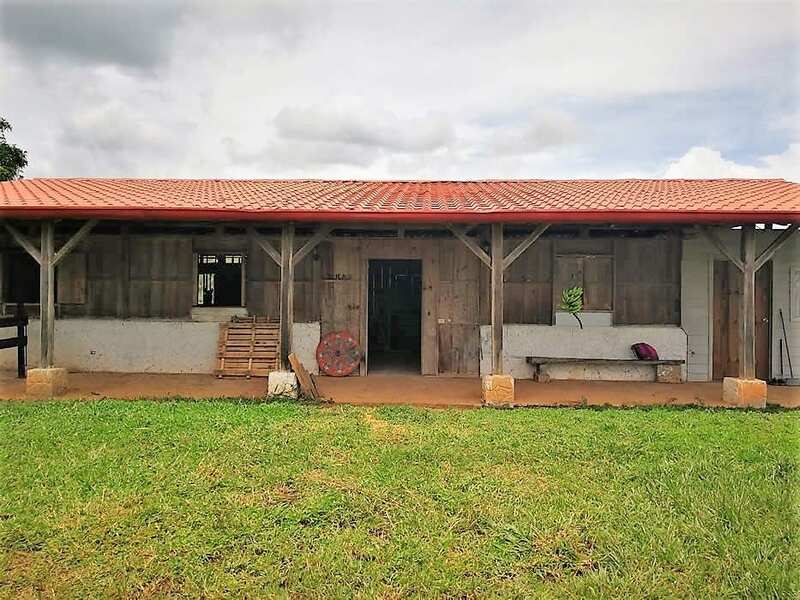 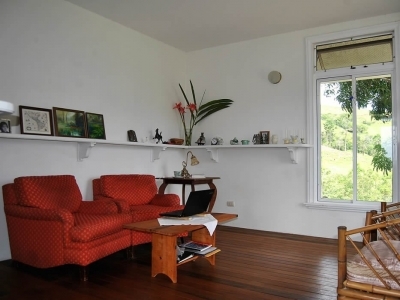 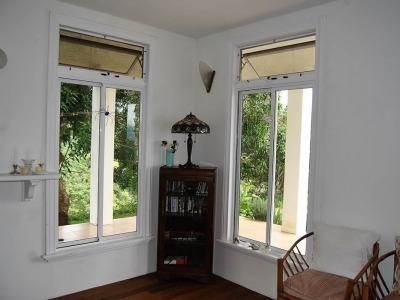 The property is on a peaceful, quaint mountainside that is very private and yet is only 25 minutes from bustling San Isidro, with all town services and amenities (shopping, farmers markets, restaurants, banks, medical and dental services, all levels of schools, movie theater, airport, etc.). 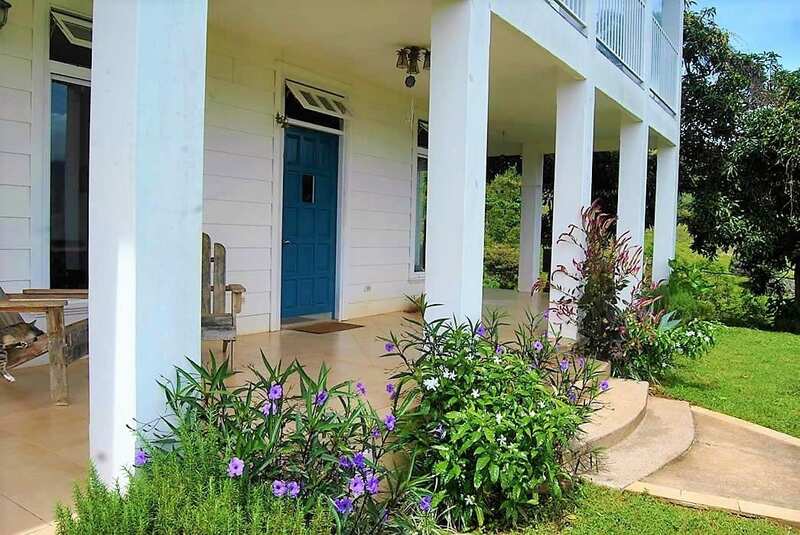 Going in the other direction for just 45 minutes you will reach the beach at Dominical with access to the best restaurants and surf in Costa Rica (well, that’s what the locals say!). 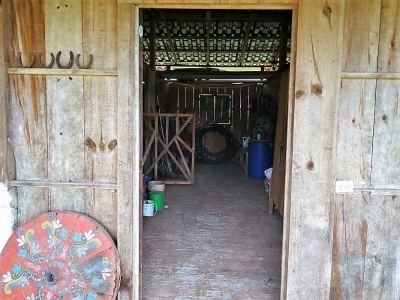 The nearest village, Roble (local bus, convenience stores, elementary school, etc. 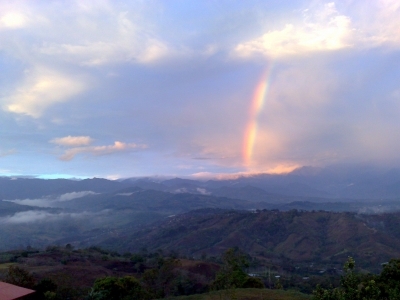 ), is one mile away and borders the Rio Pacuar which is great for swimming, rafting, kayaking, and fishing. The surrounding area has many scenic trails for horseback riding, bird watching, hiking, and mountain biking. 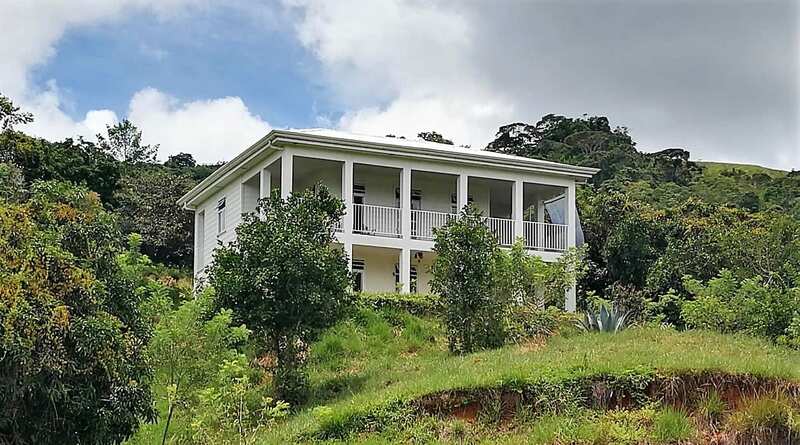 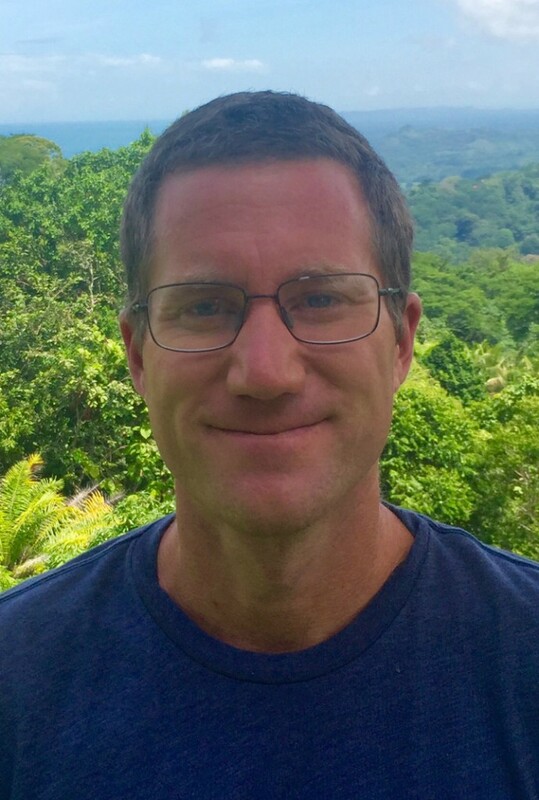 The property is located at around 3,000 feet altitude which makes for just about no insects and provides refreshing mountain breezes and a pleasant climate throughout the year. 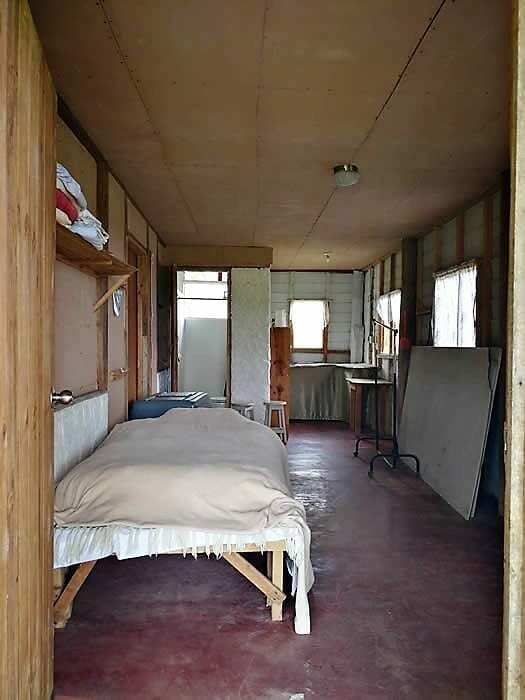 The house is 3,100 sq. 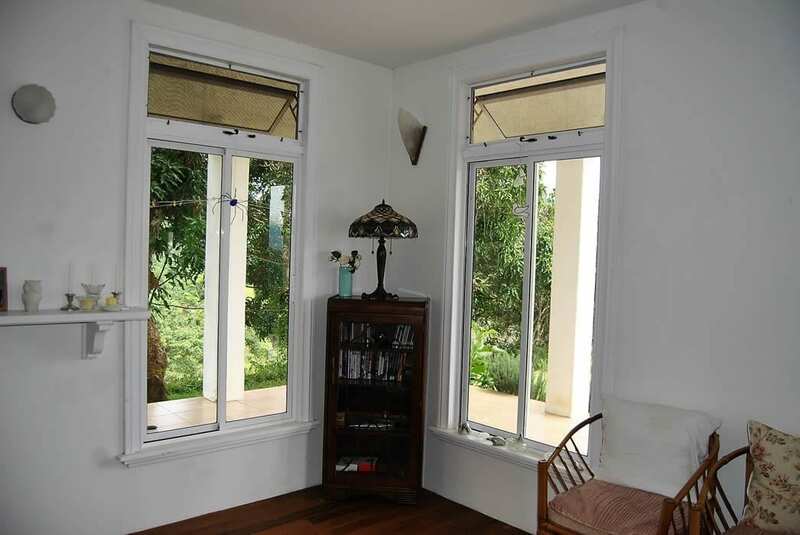 ft., built of high-quality materials and designed appropriately for tropical weather. 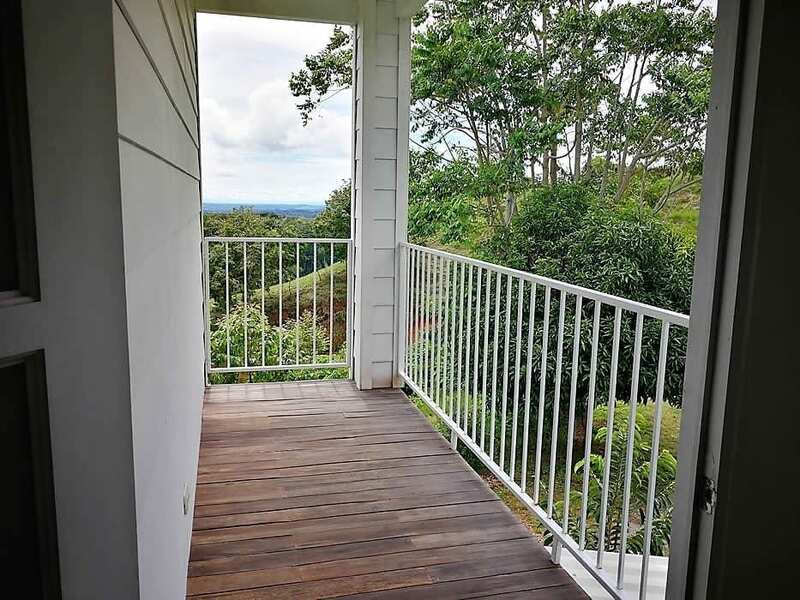 The construction is steel frame on concrete pillars with fiber-cement siding, tempered glass on all windows, industrial strength roofing, and more. 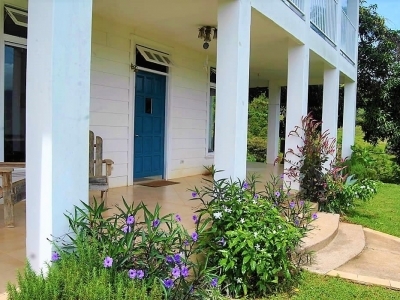 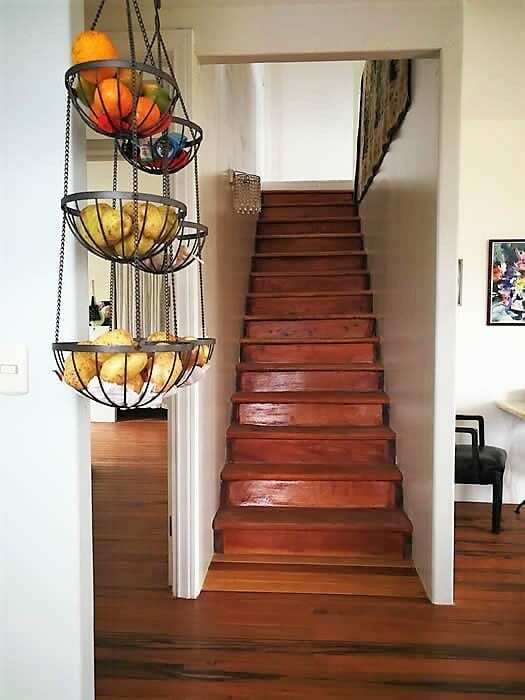 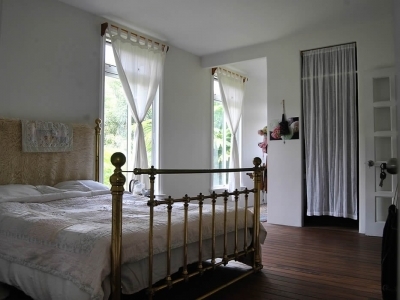 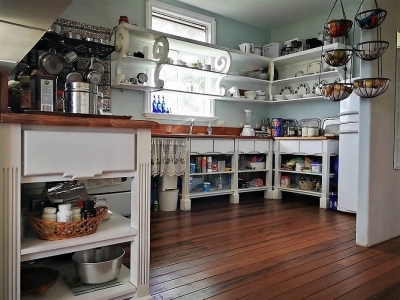 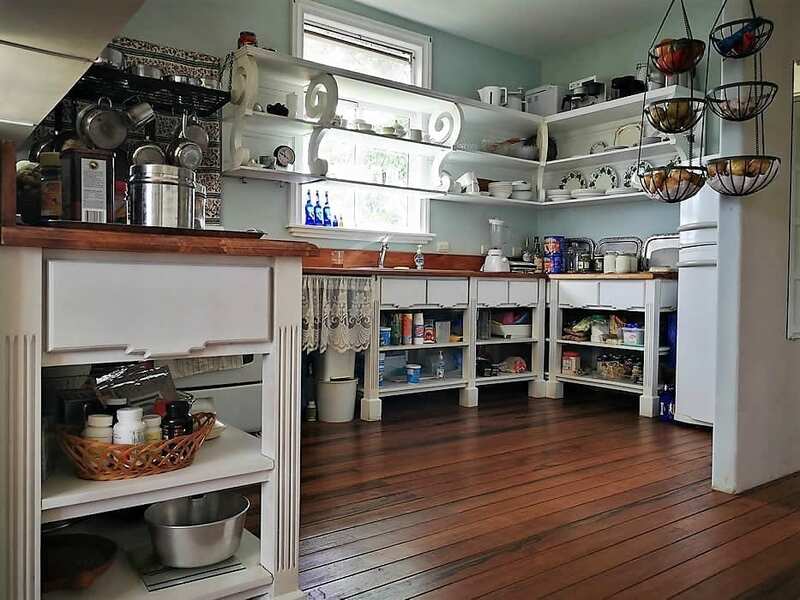 It is a two-story plantation style home with hardwood floors and high ceilings. 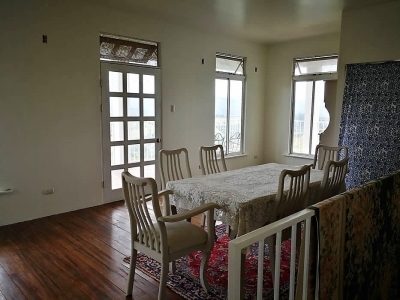 The main level consists of living and dining area, country kitchen, one bedroom with walk in closet, bathroom, and a laundry/powder room. 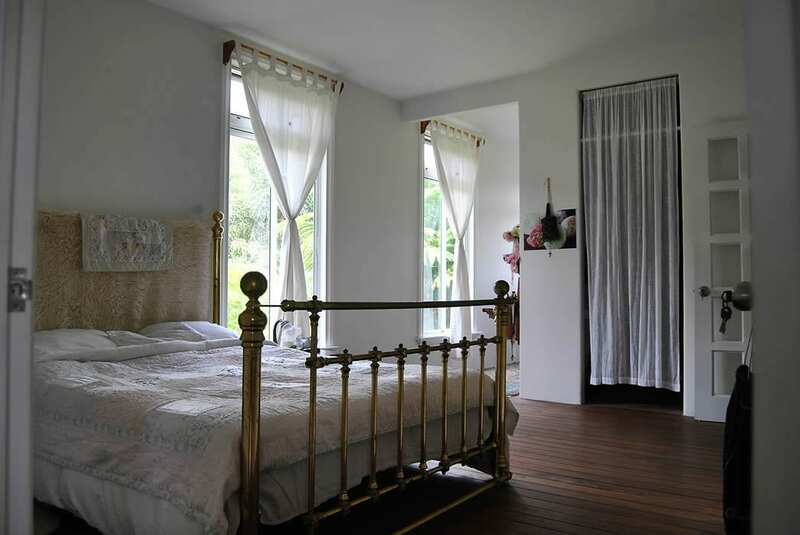 The upper level has two large bedrooms, a living room, and space to be finished as a bathroom. 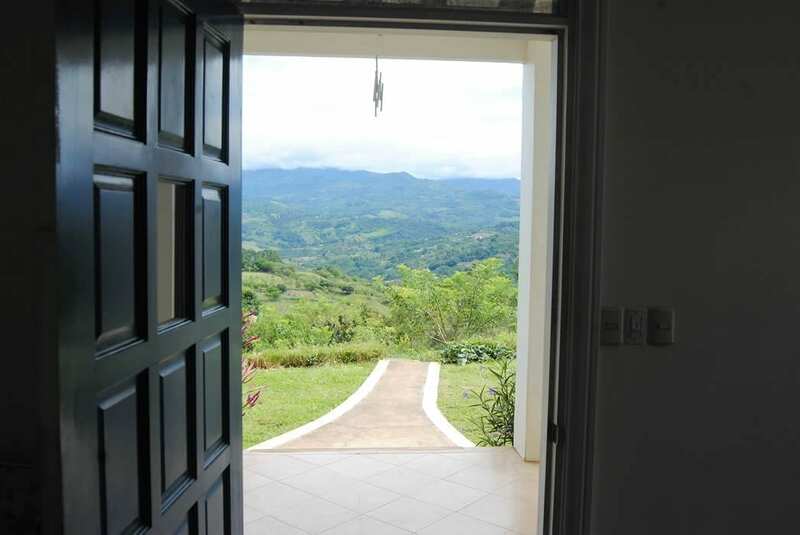 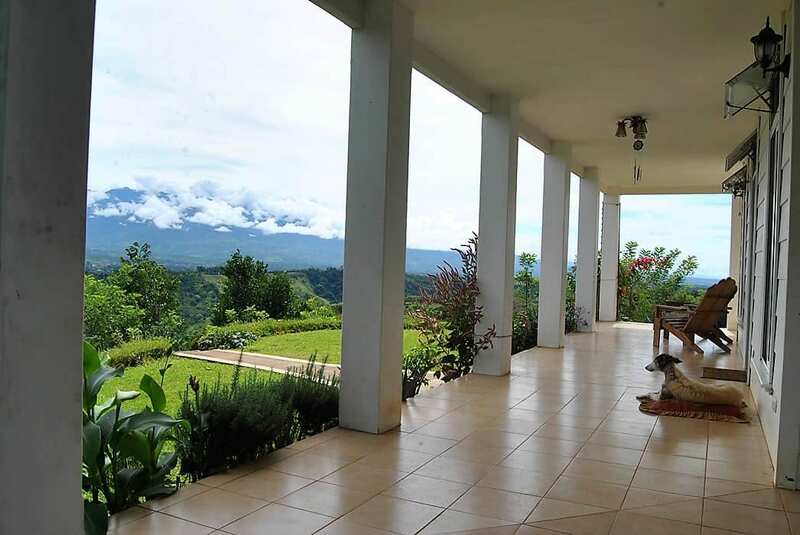 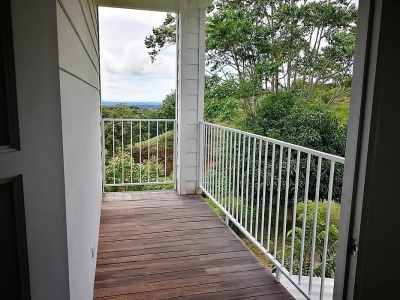 On both levels there is a spacious wrap-around porch, from which you can enjoy endless mountain and valley views, ever changing skies, sunrises, huge rainbows, flocks of birds, fireflies, and at night, twinkling stars. There are two cascading creeks that run through the property and a small spring. 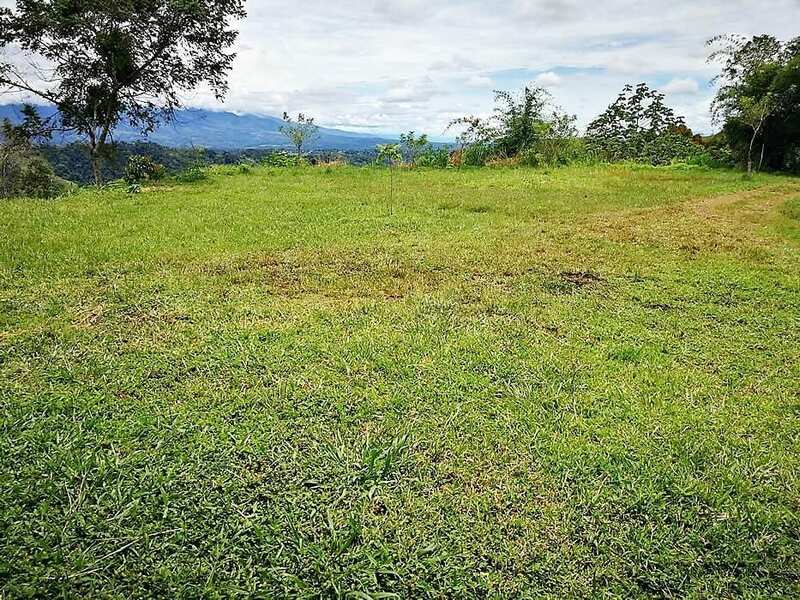 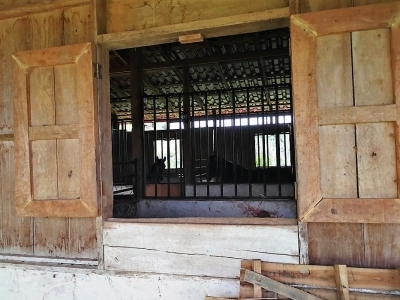 The land is rolling hills with largely usable areas of pasture and jungle that could be used for farming, additional reforestation, a small community, rental villas, etc. 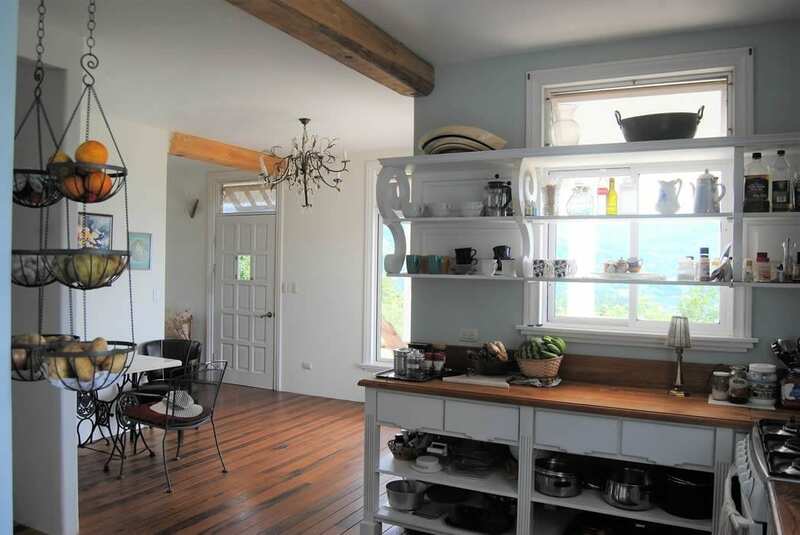 Utilities: electricity, water from a watershed mountain creek, Wi-Fi Internet, and a strong cell phone signal.